A serotonin deficiency can have you feeling pessimistic, sad, distrustful, or ready to have a panic attack. What is serotonin? It’s is a powerful brain chemical that profoundly affects your mood, so knowing whether you’re deficient is a key first step to overcoming troubling mood and impulse control problems. Having one or more of the eight serotonin deficiency symptoms discussed here will be a strong clue that you may indeed have a serotonin imbalance. And what does serotonin do? Serotonin is one of the so-called inhibitory neurotransmitters that serve to balance any excessive excitatory (stimulating) neurotransmitter (like dopamine) firing in the brain. With adequate serotonin levels in the brain and its proper functioning, you will be positive, happy, confident, flexible, and easygoing. What does serotonin do for the body? Julia Ross, author of The Mood Cure, has an excellent mood type self-exam that can help you determine whether you have a serotonin or a dopamine (norepinephrine) deficiency. You may want to take the exam, or another serotonin levels test, but we’ll cover below some of the primary ways you can determine whether you have low serotonin symptoms. 1. Is your depression negative in nature? That is, are your thoughts frequently pessimistic, gloomy, distrustful, and cynical? With low levels of serotonin, depression feelings can be dark and gloomy. 2. Are you a woman? 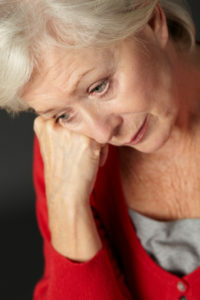 Women have depression more often than men and when they do, serotonin deficiency is more often a factor than in men. On the other hand, when men become depressed, they seem to more often have dopamine deficiencies where their depression is expressed as apathy or lack of interest or lack of the ability to focus. This doesn’t mean that men can’t have too little serotonin and women can’t have dopamine deficiency—they can—but the general tendency is the other way around. A study published in September 2007 in the journal Biological Psychiatry showed that men and women react to serotonin deficiency in different ways. The men became impulsive but not necessarily depressed. Women, on the other hand, experienced a marked drop in mood and became much more cautious, an emotional response commonly associated with depression. The researchers conclude this may be why more women than men experience anxiety and mood disorders, while more men experience alcoholism, ADHD, and impulse control disorders. The message here is that women should especially be alert to the possibility of serotonin deficiency if they have clinical depression. 3. Do you crave sweets and starches—foods like breads and potato chips and any sugar-laden choices? These foods temporarily raise serotonin levels and make you feel better, so your body craves them. In the long run, though, they actually deplete serotonin levels and cause significant weight gain. Our blog post This is Your Brain on French Fries describes this harmful effect of processed carbs on the brain, but serotonin depletion is one of the main biochemical reasons behind the effect. 4. Do you have significant insomnia issues? Serotonin deficiency symptoms include waking up in the middle of the night and not being able to go back to sleep and having to sleep in many different positions in order to feel comfortable. 5. Do you have feelings of low self-esteem? That is, you’ve lost your confidence and sense of self worth, and you easily become critical of yourself or feel guilty about something you’re doing or not doing. 6. Do you often feel worried or apprehensive or have panic attacks? False fear is a telltale sign of a lack of serotonin and can manifest itself as phobia, worry, or even excessive shyness. There is a connection between low serotonin and anxiety. 7. Do you sometimes exhibit aggressive or violent behavior, even thoughts of suicide? Studies show that serotonin deficiency in the brain is associated with an increased susceptibility to impulsive behavior, aggression, overeating, alcohol abuse, and violent suicide. 8. Have you had any of the following disorders: Fibromyalgia (unexplained muscle pain), TMJ (pain, tension, and grinding associated with your jaw), migraine headaches, irritable bowel syndrome, obesity, or asthma? Each of these conditions has low serotonin levels implicated as an associated cause, and studies have shown that raising serotonin levels improves the condition’s severity. Do these serotonin deficiency symptoms sound like you? If so, it is likely your body has become depleted of adequate levels of this important neurotransmitter—serotonin. Restoring serotonin levels in the brain and making sure it is working properly are critical but doable steps in recovering from any of these conditions. Fortunately, the body’s store of serotonin can be restored back to healthy levels through a natural health protocol involving the use of a specific amino acid supplement. Originally published in 2011, this post is regularly updated. adhd, alcohol, alzheimer, anxiety, anxiety and insomnia, asthma, bowel syndrome, brain, clinical depression, cognitive impairment, depressed, depression, depression anxiety, depression symptoms, dopamine, dopamine deficiency, fibromyalgia, headaches, health, health news, insomnia 2, irritable bowel, irritable bowel syndrome, lack of serotonin, low levels of serotonin, low serotonin, low serotonin and anxiety, low serotonin causes, low serotonin levels, low serotonin symptoms, migraine, migraine headaches, mild cognitive, mild cognitive impairment, mood, muscle, muscle pain, natural health, neurotransmitter, norepinephrine deficiency, obesity, overeating, pain, panic attacks, restoring serotonin levels, serotonin, serotonin and anxiety, Serotonin Deficiency, serotonin deficiency symptoms, serotonin depletion, serotonin depression, serotonin imbalance, serotonin levels, serotonin levels in the brain, serotonin levels test, serotonin supplements, serotonin symptoms, sleep, studies show, sugar, supplement, supplements, symptoms of low serotonin, tmj pain, to treat depression, too little serotonin, treat depression, tryptophan, university health news, weight gain, what does serotonin do, what is serotonin. Thank you so much for this information. Addressing my seratonin deficiency has made an enormous difference in my life. I have all of these symptoms. I especially have problems with impulsivity, feelings of agression andaggitation. I am constantly nervous and have panic attacks. I also have been diagnosed with type one bipolar disorder. Would taking an SSRI like Prozac make the deficiency symptoms better or worse ? I have all these symptoms and have had depression for 32 yrs. after menopause I crave sweets and feel better once I have a mouthful, but it only lasts an hour or so. I have panic attacks that are so bad that I black out. I’m always tired and fall asleep at anytime. I really sick of being fat and overweight. I recently had test done and Serotonin came back low. After reading about it I have all of this, it explains my insomnia, depression, and self-harming tendencies that we have never been able to fix. I am very hopeful that treating this will help, I had no idea it was even linked to TMJ! Another way to naturally build your serotonin levels without having to buy amino acid supplements is through the nutritional program designed by Dr Kathleen DesMaisons (www.radiantrecovery.com). I have had immense success by following the steps of her program and changing my diet and raising my serotonin levels. It’s changed my life! I cannot get to sleep..only thing that helps, some is lorezepam . My daughter has all of the above. She has recently been diagnosed with an anxiety disorder and panic disorder. Her psychiatrist tells us that she has low serotonin levels and she is now on SSRI drugs. Can you tel me more about the body’s store of serotonin being restored back to healthy levels through a natural health protocol involving the use of a specific amino acid supplement. (as mentioned in your article) ? Take L tryptophan with B6 1000mg to 2000mg per day. DO a 90 course your daughter will be different in a postive way. Also iodine and heavey metals play and imortant role in this and lastly your gut. Do research and if you need more info email me. Where can I find a doctor to help me with my anxiety and asthma. Recently I’ve been living in a house that we came to discover had a severe mold issue after multiple hospital visits with pneumonia. We’ve had testing done to see about mold and other toxins and things in our body, one of the things that showed up for me was that my brain chemicals specifically Gaba and serotonin are very low. Apparently the brain chemical norepinephrine is higher now and me trying to balance things out I suppose. I don’t know what doctor to turn to my internal medicine guy doesn’t know what to do and neither do I I would appreciate any ideas you might have thank you in advance. You could add to the list of symptoms increased religiosity, spirituality or magical thinking. Those are also associated with lowered serotonin levels. I have had insomnia,anxiety,cravings,low self esteem. I finally got will power to eat right, so losing inches,yet still not happy,very tired during day, I’m in bed ,9:30, up 5 mabey. But no motivation, no focus on anything. not much happiness yet. I’ve been an absolute MESS for close to 30 years..Doctor after doctor.HORRIBLE cronic constipation,grinding my teeth,Tinitis,[One of the symptoms..] headaches,insomnia,stomach pain,dry mouth,difficulty breathing,obesity,terrible joint pain,the list goes on..I JUST started taking L-Tryptophan SEVEN HOURS ago,I feel better already..I made one bad mistake,I was so bad for so long,I took 4 capsules instead of 2,WORST stomach cramps I’ve ever had.. TRY THIS..May have saved my life.. The popular serotonin-as-the-happiness-molecule theory was launched and marketed by corporate medicine. The “serotonin-happiness” mantra, just like the mechanistic simplistic “chemical imbalance” idea, are almost entirely all-too convenient inventions of the medical-pharma business, which allowed them to sell their highly profitable antidepressant drugs, such as SSRIs, while causing massive human destruction. And for agents of the natural medicine industry to sell tryptophan and 5HTP supplements. Sierra-Sil cured my Fibromyalgia/ Muscle pain!! At health food stores!! I have been having all of these symptoms! The past few months I’ve been clean, I used to do Molly A lot. (Please don’t think I’m some crazy drug addict, I’m not i did it for a month and it completely ruined my life)I started to realize i wasn’t myself anymore, I can’t sleep anymore I constantly think people are judging me I’m so shy when i NEVER used to be like this. I’m constantly grinding my teeth. I’m ALWAYS sweating, i feel like I have weird breathing habits. I have trouble sleeping, i either don’t eat for days or I eat non stop! Me and my boyfriend used to be so close, the best of friends and now all we do is fight and half the time it’s just me overly stressed and overwhelmed about everything that i take it out on him. I just want to be normal again 🙁 I’m so sick of feeling so down and overthink about everything and constantly stuck in my thoughts I’m not interested in any of the hobbies that i had i don’t hang out with my friends anymore i barely talk to my family anymore. I want to get help but i don’t even know where to start or who to talk to, I’m only 20 years old and i just need some guidance. more of that – take d3 supplement (6000 units daily max), practice sunbathing and outdoor activity when the sun is clearly visible, perform forced relaxations – lay down for an hour during day to rest after and before work and do nothing try to forget about everything for an hour and even try to sleep if you need to, if you can’t – meditate then. This has been a most informative site. Just reading about the possibility of increased happiness has given me a boost. Thank you so much !! How lab test can check low serotonin? Where is New York city make lab serotonin test? What can increase level of serotonin? Thank you Gregory for your comment. Please check with your doctor where can you do serotonin test. Thank you Gregory for your comment. There are a lot of ways to increase level of serotonin for example B vitamins supplements or exercise. hey there, i know i am kind of late but still i wanted to share. i was planning doing research related to serotonin. i’ve read that peppermint essential oil helps to boost memory and mood;helpful to overcome depression. doing exercise also helpful especially a heavy one. do expose yourself to sunlight. and drink some milk. hope you all will be recovering. remember,do more physical activity instead of taking lots of drugs. thankyou. I have never smoked, nor had an ash tray in my home, if someone wanted to smoke I would tell them to do it outside. I was shocked when diagnosed as COPD. I know the place I last lived in allowed smoking I know I can go to find a lawyer too. I was very upset because the Pulmonary Dr. Yes to all those symptoms!